Preheat the oven to 180C/350F/Gas Mark 4. Place the rhubarb in a deep dish and sprinkle over the cinnamon and 3ozs. soft brown sugar. 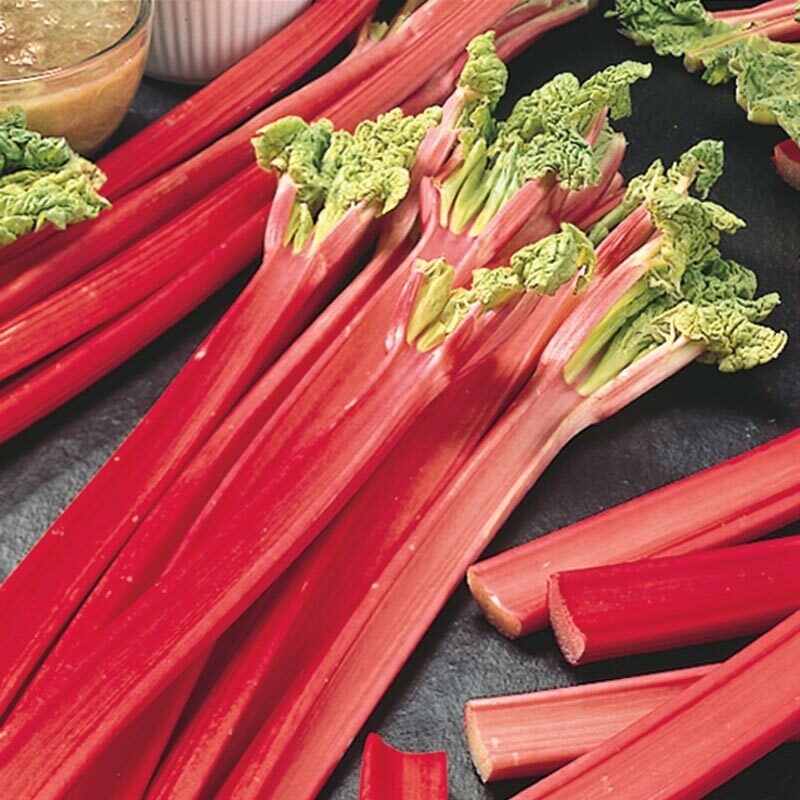 (If the rhubarb already has enough sugar for your taste leave this out). Cream together the butter and remaining soft brown sugar until smooth and creamy. Then beat in the eggs, one at a time. Carefully fold in the flour and ginger, then stir in the marmalade. Spoon the mixture into the dish so that it completely covers the rhubarb. Bake for 35 – 40 minutes until golden brown, well risen and firm to the touch. Serve with a sprinkling of soft brown sugar and some cream. You can make this recipe in small, individual dishes if preferred. It will then require less cooking time, probably 20 – 25 minutes.